“My psychiatrist told me I was crazy and I said I want a second opinion. He said okay, you're ugly too.” Rodney Dangerfield isn’t exactly a philosopher I commonly quote, but this quote rings true when you look at the number of opinions circulating online. Now that we know who will be in the big chair for the next four years I asked myself in what ways may this help my client or hurt. Scanning the many media channels for answers is not only mind-numbing, but full of conflicting information and a plethora of opinions. Large dollar property sales seem to be emitting faint sparks of hope for the commercial real estate outlook so far in 2010, particularly in the multifamily and hospitality sectors. Although the economy has been growing lately, fallout from the recent recession continued to negatively impact commercial real estate sectors in the fourth quarter, but there is hope for some improvement next year, according to the National Association of REALTORS®. The recent deep economic downturn has had a pronounced impact on commercial real estate sectors, but credit availability is the big unknown that will determine how soon commercial markets recover, according to the NATIONAL ASSOCIATION OF REALTORS®. After the Senate gave final approval last night without a dissenting vote, the House of Representatives voted overwhelmingly this afternoon to pass legislation containing an extension and expansion of the homebuyer tax credit, completing Congressional action and sending the tax credit to President Obama for his signature, possibly as early as tomorrow. For months, the buzz has been that commercial real estate—with $3.4 trillion in outstanding debt, $1.4 trillion of which is coming due by the end of 2012—would precipitate the next leg in the credit crisis and possibly derail the broader economic recovery. To some, that mountain of debt coming due represents a clear parallel to the trillions of dollars in residential loans that helped destroy more than 100 banks and made the current recession the deepest and longest since the Great Depression. New projections from Real Estate Econometrics LLC predict that the default rate on commercial mortgages held by U.S. banks will hit a peak of 5.4 percent in 2011, the highest level since 1992, when the default rate hit 4.6 percent. The 5.4 percent figure is nearly double the 2.9 percent default rate banks posted at the end of the second quarter, according to FDIC data analyzed by the research firm. The decline in commercial real estate activity caused by a severe credit crunch, sustained job losses, and weak consumer spending appears to be slowing, according to the National Association of REALTORS®' latest report. A forward-looking indicator shows commercial real estate will remain weak into 2010, but recent actions by the Federal Reserve should improve some flow of capital into commercial lending, NAR reports. Across the board $729,750 1st mortgage maximum! It appears that restrictions by county were eliminated! In other words, if your mortgage happens to be at the new limit - $729,750; but your home value has fallen to $766,237 -- congratulations, you just made it! Will they voluntarily subordinate to the new 1st? Lenders must drop payment to 38%"
Income = $4,000 per month X 31% = new payment of $1,240! Cash incentives will be paid to borrowers, too! NEW YORK, Nov 20 (Reuters) - U.S. office building sales fell 70 percent in October from a year earlier, yet another sign the credit crunch that began in the U.S. housing market has spread to the commercial real estate market, Real Capital Analytics said on Tuesday. But the five-year bull run on commercial real estate may not be over, although the participants have clearly changed, the real estate research firm said. 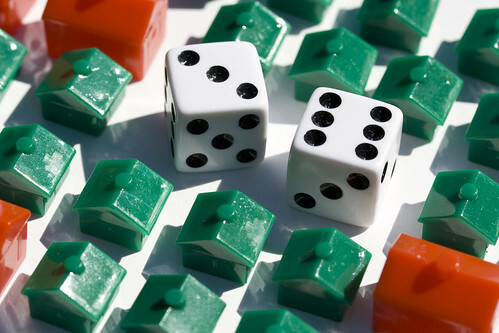 When taking into account the causes that influence the real estate market, one usually considers factors such as current trends in real estate purchases, the economy, stock market, mortgage rates, employment resources, the area’s crime rate, transportation services, and a slew of other causes - including the threat of war. National suicide has yet to be considered. I have been asked by a number of citizens, what will happen to real estate prices if the government divides the city? Amazing what other parts of the world contend with! It makes our problems with defunct sub-prime loans and high foreclosure rates minuscule up against war and a divided country. The economy and property market fundamentals are losing steam. The dynamics of restructuring efforts for distressed companies has changed. Underlying strength of collateral supports strong performance in the CMBS and CO sectors. LandCap Partners, Onex Corp. and The Schuster Group go shopping. Slow down in activity could slow sale of assets. This week's listings include downsizings in Alabama, Arizona, California, Florida, Illinois, New Jersey, Ohio, Pennsylvania, Texas, Virginia and Wisconsin. Read all of the above stories plus others, and access this week's properties on the Watch List in: Cordele, GA; Fort Wayne, IN; Portage, MI; Biloxi and Ridgeland, MS; Rahway, NJ; Batavia and Henrietta, NY; Dallas and Houston, TX. Should Fed Tread Lightly on Rates? What would a quarter or half-percent interest rate cut mean for the economy?